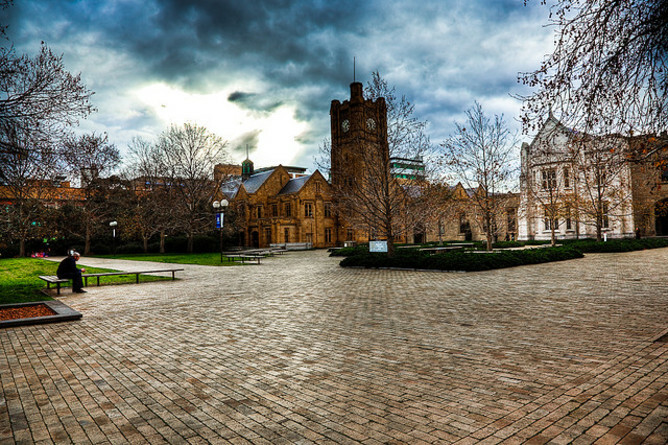 The belief of Australia’s Group of Eight elite universities that fee deregulation will allow them to fund their chase for global prestige is based on a fundamental misreading of the economics of elite US universities, writes Raymond Da Silva Rosa. What’s wrong with the US model? More fathers of freshmen are doctors than are hourly workers, teachers, clergy members, farmers or members of the military – combined. Only the relatively wealthy are able to afford the infrastructure to produce that accomplishment in their children. Upper-middle-class Americans have responded to the triumph of educational meritocracy by creating a whole new way of life organised around the production of measurably talented children and the delivery of news about kids to the right places at the right time. Will students pay more for no greater income benefit? You can get added prestige without extra cost so why wouldn’t students want to apply (to the Group of Eight universities)? What might give the Group of Eight pause is that Australian university rankings are poor indicators of graduate outcomes. There is no earnings advantage to attending a Group of Eight university after controlling for industry and occupation. Remarkably, the Group of Eight has proposed that uncapped fees apply in law, accounting, administration, economics and commerce “where there are high private returns”. These courses are precisely those in which private providers, including non-profits, are best able to compete, particularly once their students (“clients”?) can access HECS-HELP and they don’t need to divert surpluses to subsidise other operations. To retain their status as the preferred path to entry to the professions the Group of Eight will find they will need to be more selective – an important measure of quality in elite US universities. Headline fees may very well rise to make up for lower government funding but the Go8 will also need to return more of the revenues generated by law and business students back to their schools to keep up with private providers and ensure selectivity. The elite university model entails subsidy; fees from students are not a source of surpluses. The US experience also indicates the elite model doesn’t do much to promote equitable access. The economic theory explaining why universities are usually non-profit, why top universities subsidise their students substantially even when many can afford to pay, why research drives prestige rather than teaching and other distinctive characteristics of the elite end of the sector is well developed and relatively uncontroversial, no small feat in a discipline where joint winners of the field’s Nobel Prize can have startlingly opposing views. This solid work of economic theory makes it all the more puzzling that in the debate over demand-driven funding and fee deregulation the Group of Eight have advocated as though they hold pricing power in a for-profit industry. Perhaps a case of the corporate university being hoisted with its own petard? This article by Raymond Da Silva Rosa , University of Western Australia, was originally published on The Conversation.